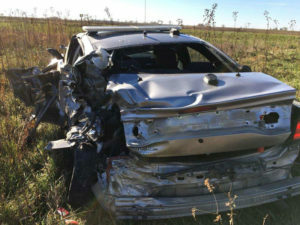 State Patrol car damaged while trooper helped with accident. A Prairie City man was killed this morning in a crash on Highway 163 in Jasper County. 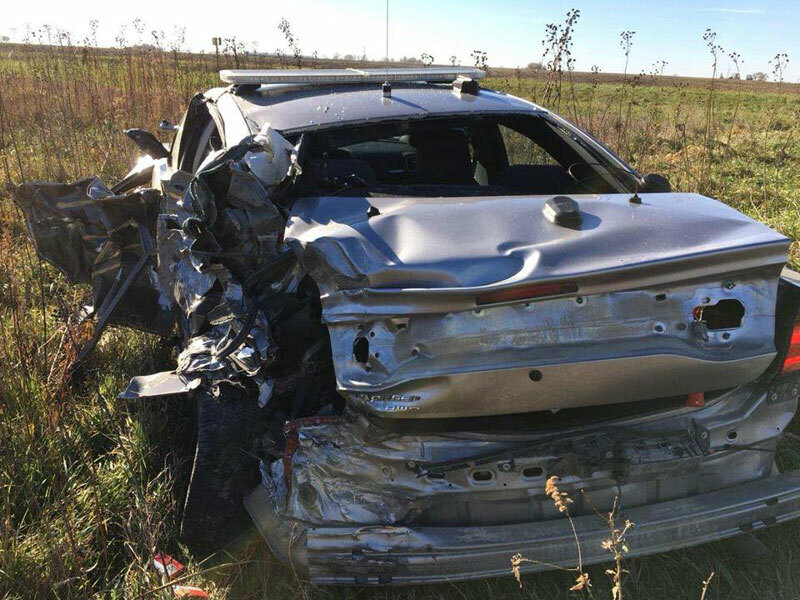 Iowa State Patrol Sergeant Nate Ludwig says 50-year-old Rex Chickering was driving a van that slammed into the back of a slow-moving pickup pulling farm machinery. Chickering died at the scene. The driver of the pickup, 53-year-old Curtis Kaisand of Monroe, was injured and taken by ambulance to a hospital in Pella. The trooper who’d been driving the patrol vehicle was not injured. He was directing traffic to a detour away from the initial crash. “Stuff like this happens far too often where our patrol car is lit up like a Christmas tree – there’s no reason why people can’t see it when they’re paying attention. So, we’re still seeing distracted driving at its worst,” Ludwig said. Charges are pending against the driver of the semi, according to Ludwig.